Spring sports have been in full swing here for a few weeks now, and we've been spending a good bit of time at the soccer fields. 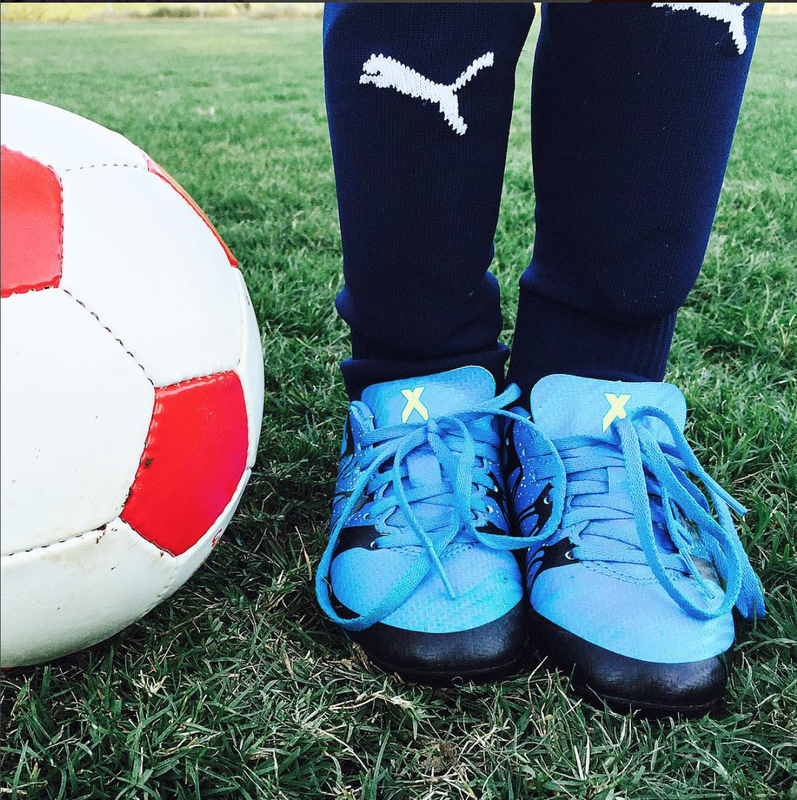 The weather has been ah-mazing lately, so we've happily enjoyed our time both on the fields and on the sidelines. 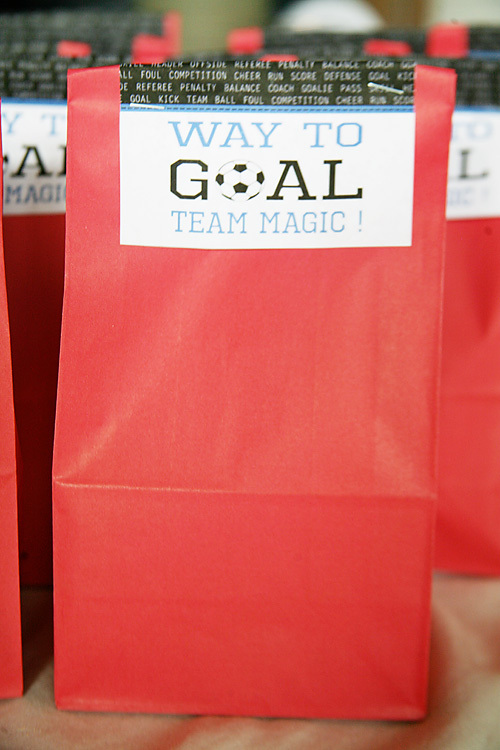 This past weekend I was in charge of the after game snack for Cute's team. 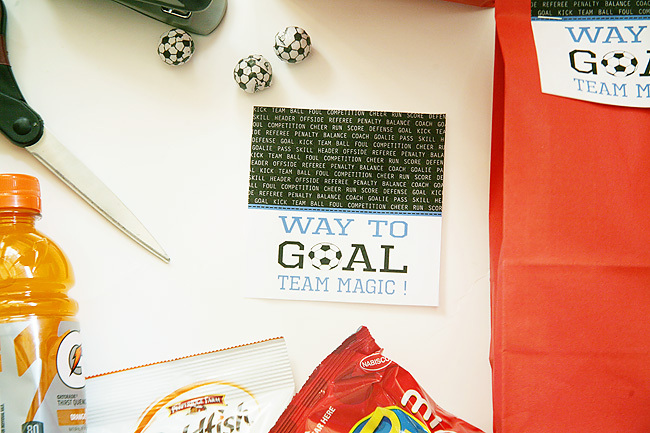 We've been with the same team and coach for a few seasons now, so I decided my go-to printable for snack time needed a little refresh. I let Cute pick out what he and his teammates would like for their post game refuel, and after steering clear of a snack entirely built on Easter candy (negotiations were fierce), the rest was easy. 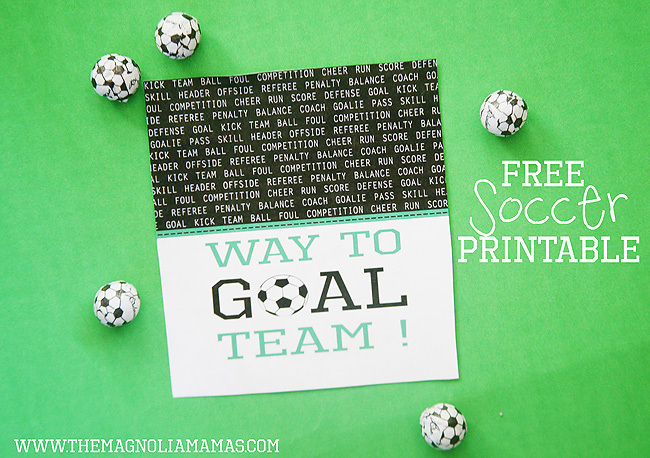 I updated the printable with a new saying and to include his team name and colors. 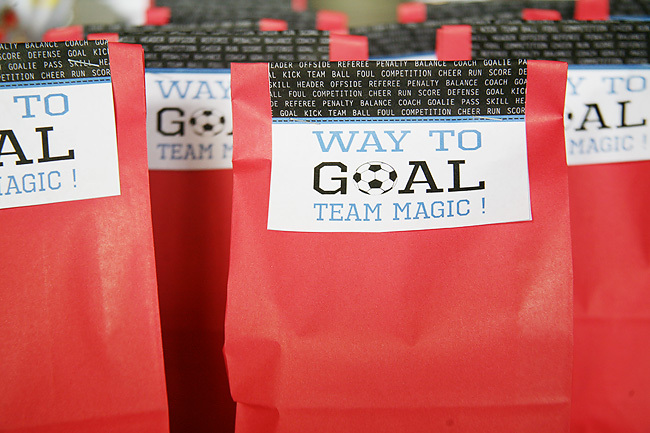 Needless to say team Magic was super pumped both about their win, and their post game snack. If anyone is interested in using the refresh for your own little soccer star HERE is a link to download a generic version I made. What activities are your children participating in this spring?